The Social Media Gurus Network is putting together a Swinging into Summer Gift Guide. The gift guide starts on June 20th and ends July 20th. 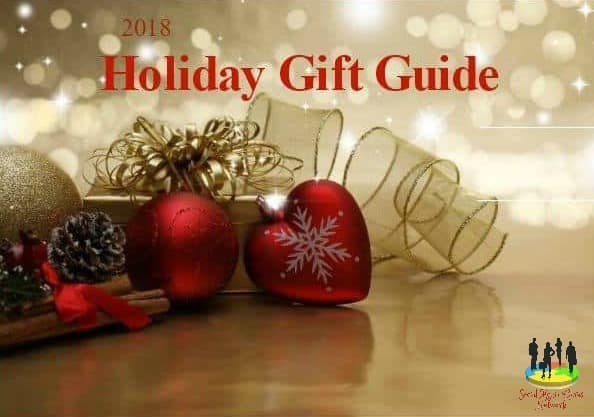 We would love to include your products in our gift guide. We have 11 awesome bloggers involved in the gift guide! WOW is that awesome… you get 11 for the price of 1. We are ready to get started on promoting your products in our Swinging into Summer Gift Guide. We will all be promoting your products! First, let me introduce the Bloggers involved. With these numbers, you can see why we are all so excited! We work with other bloggers to have things retweeted/reposted/repinned so we could have your product(s) seen by well over 750,000 viewers. People will be talking about and recognizing your product(s) with this much exposure. Why work with 11 or more different bloggers when you can contact 1 and still have your item promoted by 11 blogs, less stress and more coverage! Social Media Gurus will do an awesome job for you and your company! Packages available for the Swinging Into Summer Gift Guide. Review Package – $75: Includes review on the hosting website of your choice tailored to your brand. All blogs will post to their social media accounts 6/20 – 7/20, driving new customers to learn more on your review. We will feature a picture of your product and link to your review on all 11 blogs in the gift guide. Giveaway Package – $150: Includes all of the Review Package and a hosted giveaway of 1 product on all blogs. This will be linked to your review and promoted by our network of bloggers. Giveaways will run for three weeks. If the product is received after 6/20 the giveaway may need to be less than 3 weeks. Limited Availability for 1 sidebar ad on 1 blog from 6/20 – 7/20, $75. You must talk to the blogger of the preferred website to verify this is available on their site. When signing up we will need 1/2 down and the other 1/2 due 6/20. If signing up after 6/20 total is due when signing up. If we have done a review on any of our sites and you would like to use that review, you are eligible to deduct $25. If more than 1 product, you will receive 1/2 off the posted price for each additional item – with the exception of the sidebar ads this is per ad. Once you have signed up, the chosen blogger will contact you and arrange for payment to be received, and give you the address if product is being sent. We will also consider product for payment on an individual basis so please contact us before signing up. The minimum value must equal the amount charged for the package wanted. We have a lot of experience doing giveaways, and we know this is the best way to get buzz going about your brand. If you have a special discount for your item(s) we can also promote that. All 11 Blogs are family-friendly and the products must be also. Please let us know if you have any questions. Our current Mother’s and Father’s Day Gift Guide is HERE which may help to answer some questions. You can contact this blog owner at brandi@easterbabestheory.com or Social Media Gurus Network at Info@socialmediagurusnetwork.com.